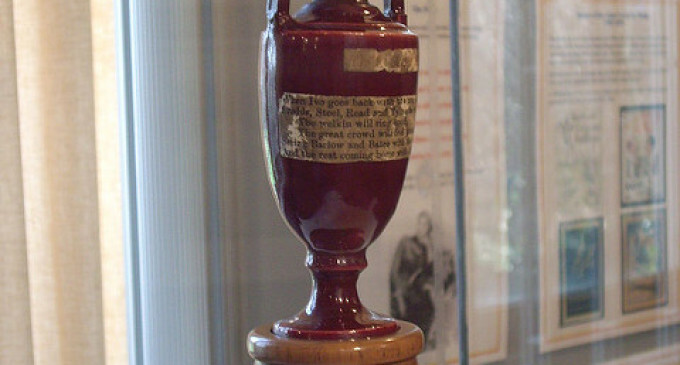 Australia surrendered the Ashes without a huge fight in the 2015 series as Stuart Broad led England to victory to reclaim the urn. The Baggy Greens put in weak efforts with the bat at Edgbaston and Trent Bridge allowed Alastair Cook’s men to avenge their whitewash defeat 18 months prior. However, they are backed at 2/1 in the latest cricket odds to win back the Ashes Down Under next year, although both teams are a long way from being ready for another encounter. The series defeat in England brought about the end of Michael Clarke’s career as he struggled with a back injury throughout the summer, while Chris Rogers also departed the international arena, leaving huge voids in the line-up. Steve Smith continued his impressive run of form in the series with centuries at Lord’s and The Oval, but failed to make an impact in bowler-friendly conditions. He inherited the captaincy from Clarke and the Aussies made a strong start under his reign by overcoming their defeat to England as they brushed aside New Zealand. Their dominance with the bat proved to be the difference between the teams in a 2-0 victory on home soil as the Baggy Greens just edged out the Black Caps in the first day/night Test match to clinch their win. The form of Smith and David Warner at the top of the innings proved to be crucial in the victory, while Usman Khawaja and Joe Burns also notched centuries to solidify their place in the line-up. Adam Voges was the key figure in the following series win over the West Indies with 375 runs in the three matches, most of which came from an unbeaten innings of 269 in the first Test. Meanwhile, James Pattinson returned to the fold to provide support for Josh Hazlewood in the absence of Mitchell Starc and led the wicket column with 13 strikes. Australia continued their resurgence under Smith with another comfortable series win in their tour of New Zealand, with Voges again leading the way with the bat, while Burns scored his second Test century. Hazlewood stepped forward as the leader of the attack and Jackson Bird offered another option on the bowling front with a five-wicket haul to guide the Aussies to victory in Christchurch. Smith’s men have developed consistency in their batting line-up with all of their players making contributions to their recent Test victories. However, the runs were made against mediocre attacks and favourable home conditions, leaving with much to prove before they face off against Broad and James Anderson once again in the pressure-cooker environment of the Ashes. Their series against South Africa later in 2016 will be key to see if they can hold up against the quality of a varied pace attack as Dale Steyn, Morne Morkel and Kagiso Rabada will offer a potent threat. Encouragingly for Smith and the Aussie selectors the team have managed to build a solid stock of pace bowlers, even though injuries have forced them to include players out of necessity. Starc and Pattinson’s fitness problems could be a cause for concern over the long term as will Pat Cummins, who has also struggled to remain healthy despite his talent. Hazlewood has risen to the occasion since leaving England after an underwhelming Ashes series, and it will be on him most of all to improve his wicket-taking ability and temperament, given his exploits against the Black Caps. Elsewhere Bird, Peter Siddle and Nathan Lyon all offer solid complements, but the Baggy Greens will need their pacemen to fire to retake the urn back next year.